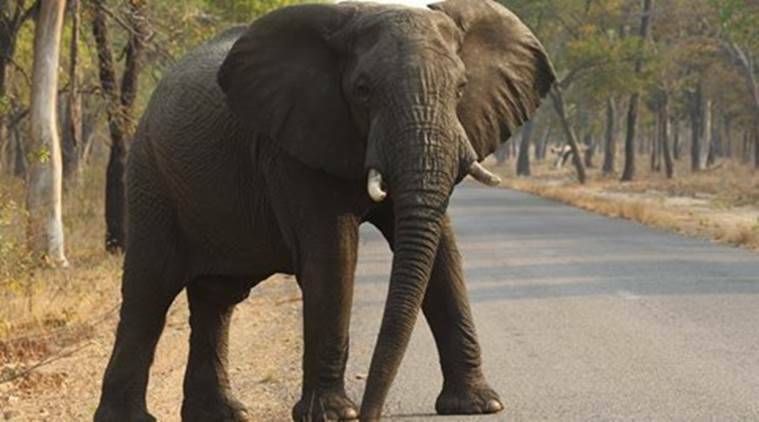 An elephant brought to help capture a tigress in Odisha’s Satkosia Wildlife Sanctuary, on Thursday killed a man who had gone up to feed it, according to a statement released by the state Forest Department. The tigress, Sundari, was tranquilized and captured Tuesday after a fortnight of tracking by a team comprising professional trackers and tranquilizers from Satkosia and Bhubaneswar’s Nandan Kanan Zoo. It has allegedly killed two people, and locals had been demanding her removal for weeks. A female ‘kumki’ (trained) elephant called Joshoda was used to track down the tigress. According to a press statement by Odisha’s Forest Department, the elephant killed Sudur Pradhan, 49, when he was feeding her. The forest department has claimed that the man, who was not a trained mahout, fed the elephant on his own volition, ignoring warnings by the forest staff. “While he was feeding the banana plant, she pulled and trampled him,” the statement said. The department announced Rs 4 lakh compensation for the family of the deceased and promised immediate ex gratia payment of Rs 40,000. The forest department was not available to answer why untrained people were allowed to approach and feed the elephant. On Tuesday, the National Tiger Conservation Authority (NTCA) shot off a letter to Odisha’s Chief Wildlife Warden, warning against the shifting of the tigress to Nandan Kanan Zoo. The Forest Department has said it has not taken a decision on the future of the tigress.